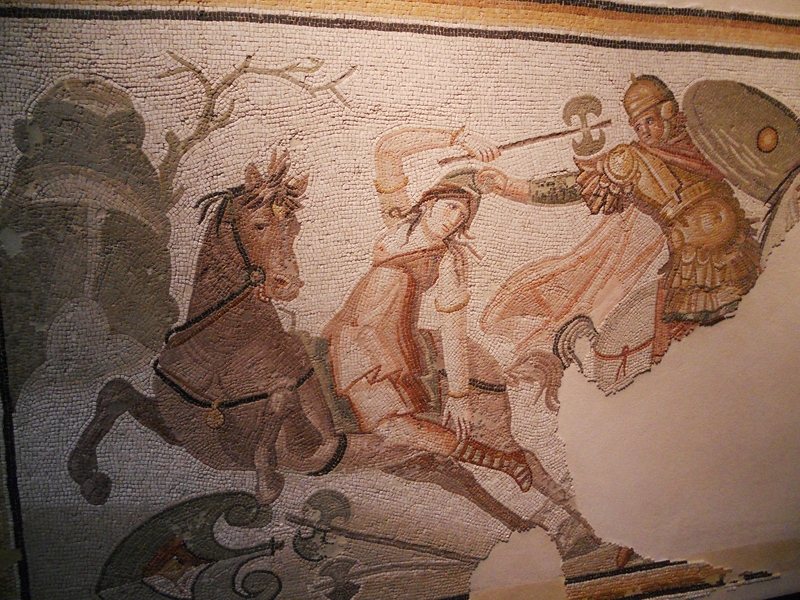 This large mosaic is entitled “Amazonmachie”, which in French means massacre of the Amazons, (the same suffix is used to describe bull fighting). The violence of this piece caught my attention. 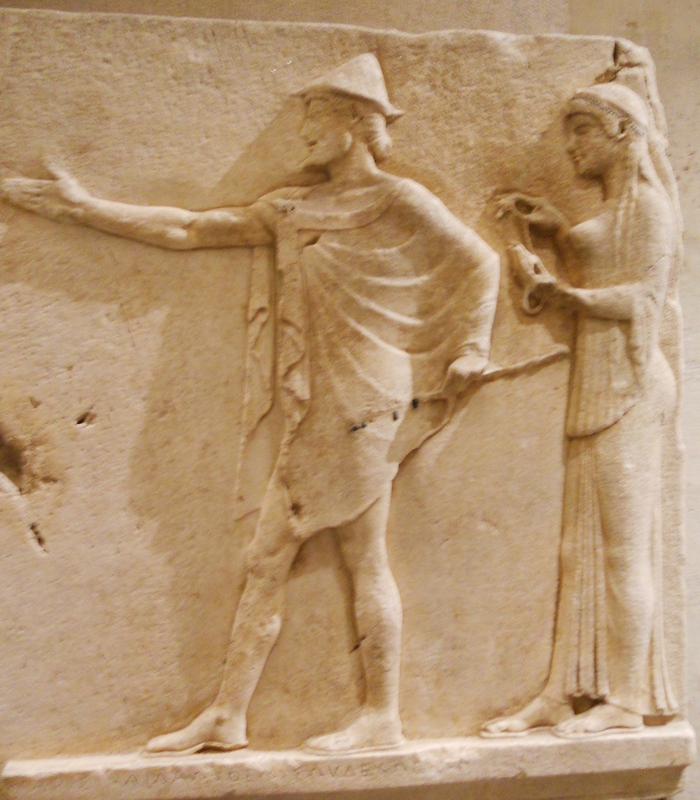 Here we have another glimpse at funerary steles. This time in the Egyptian culture. What struck me here was the way both figures, man and wife, are placed on the same level as equals, gently embracing for eternity. There is no superiority of one over the other, regardless of what the situation was in life, in death, they are equals. This was a surprisingly reoccurring theme. The beauty of this sculpture struck me. 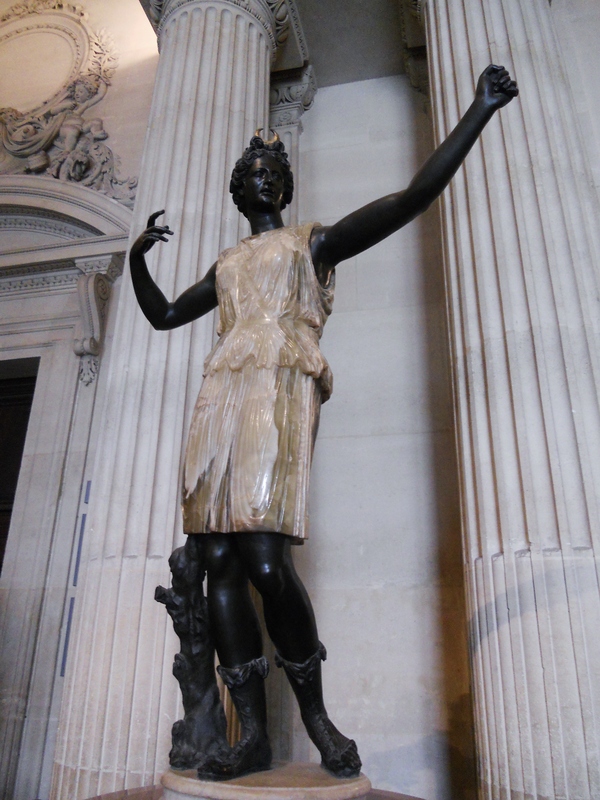 It’s a two tone marble and bronze statue of Artemis, the Huntress. I loved how they incorporated the marbling of the stone into the folds of her clothes and the striking black and white contrasting materials. 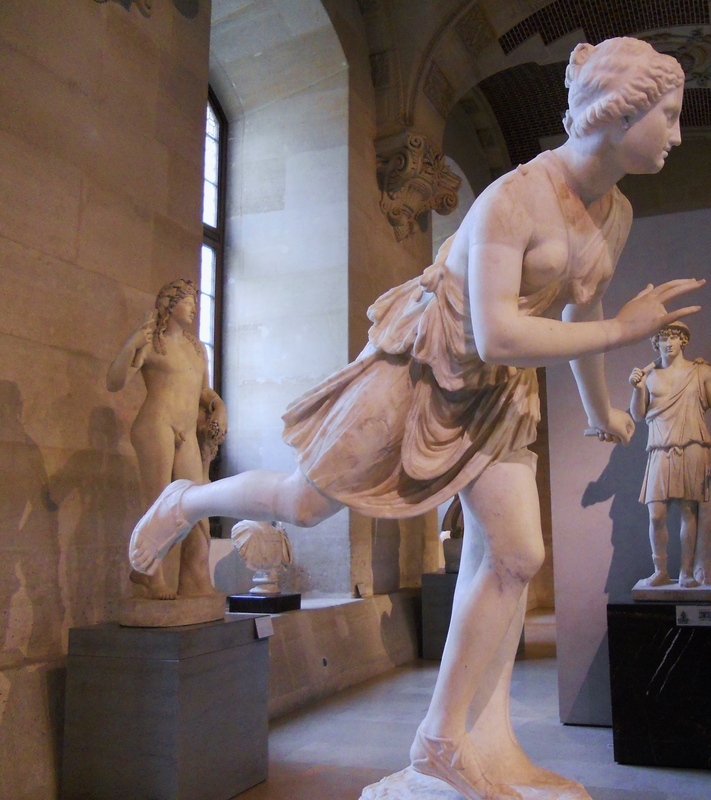 This marble sculpture of one of Apollo’s muses is a Roman copy of a Greek piece, created in the second century c.e. However, in the 18th century, a fanciful restoration, added the comedy mask and caused an ongoing commotion about the true subject matter of this piece. Here is another roman re-creation of an original Greek statue, reconstructed from fragments. 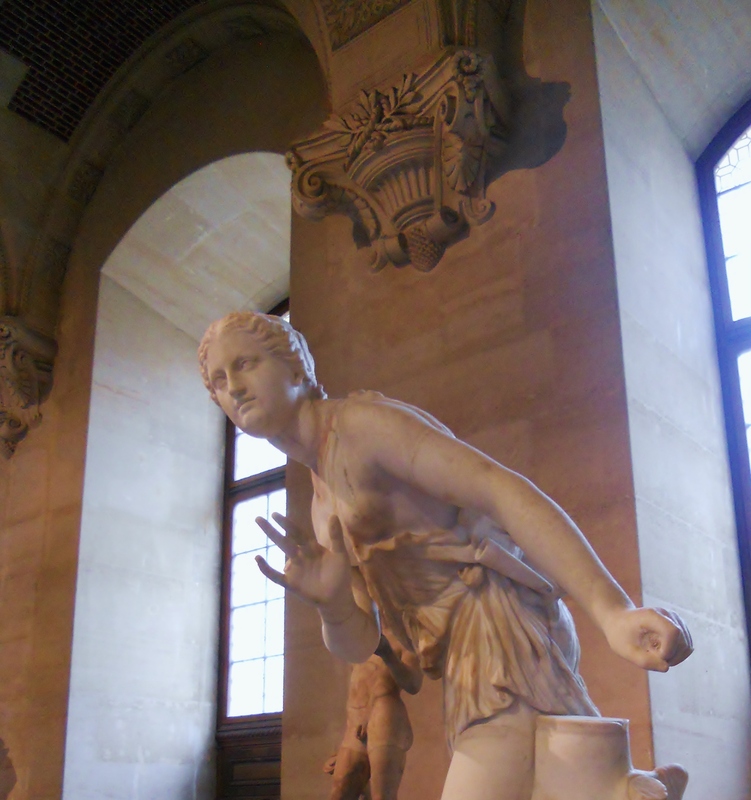 The Romans took the pose and features of this character but adapted her to suit their needs, placing her in a different tale of mythology altogether. 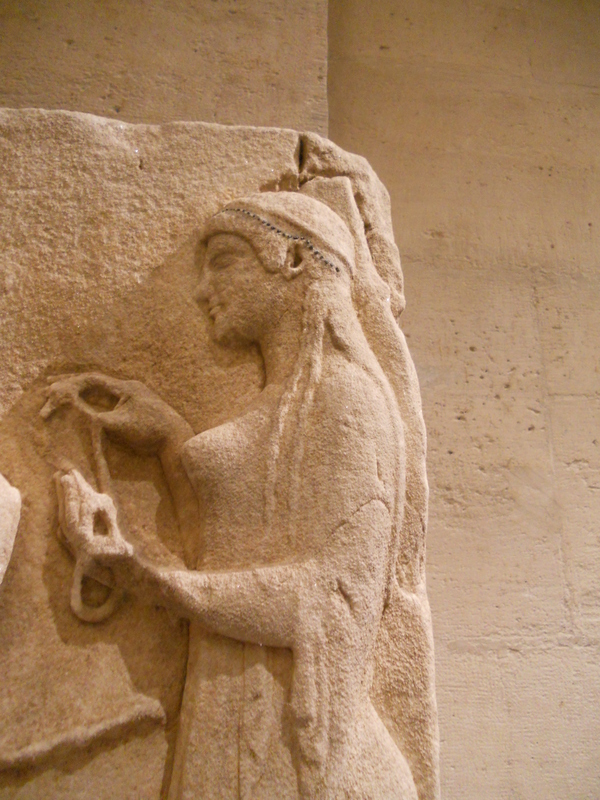 In Greece, she was Diane, and in Rome, she became Atalante, one of Ovid’s metamorphoses. But her dynamic posture caught my eyes, she seems ready to come to life at any second and run right past us. 200 c.e. restored in the 18th century. 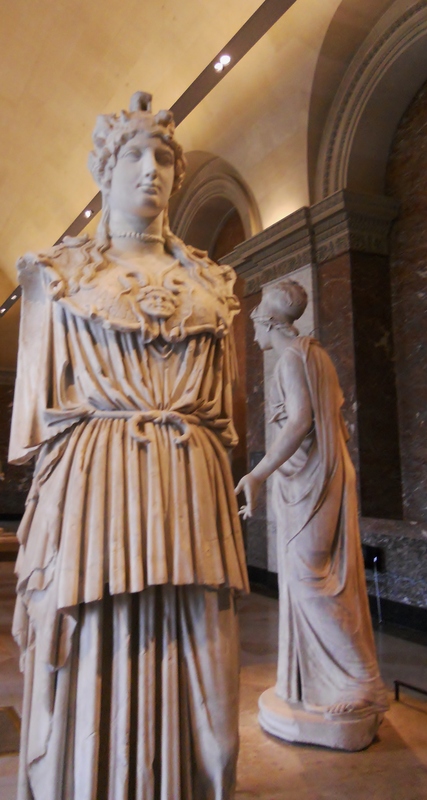 This was the most impressive marble statue I saw in the Louvre. The presentation and location are the perfect backdrop for this monumental 10 foot tall statue of Athena (Pallas of Velletri). Her face is stern and her features almost masculine, shown as a figure of strength and victory. This is a Roman reconstruction from the 2nd century. 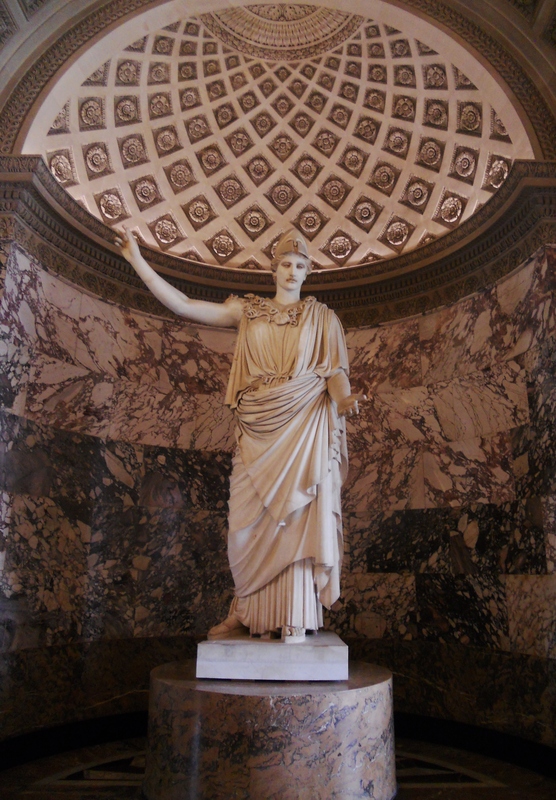 The original Greek statue was a ten foot bronze of the goddess, this piece was apparently recreated from plaster molds of the Greek original, a piece that was never found. Facing the Pallas Athena, is a long hall, filled with statues and busts of the goddess Athena/Minerva, showing her in different poses and dress. 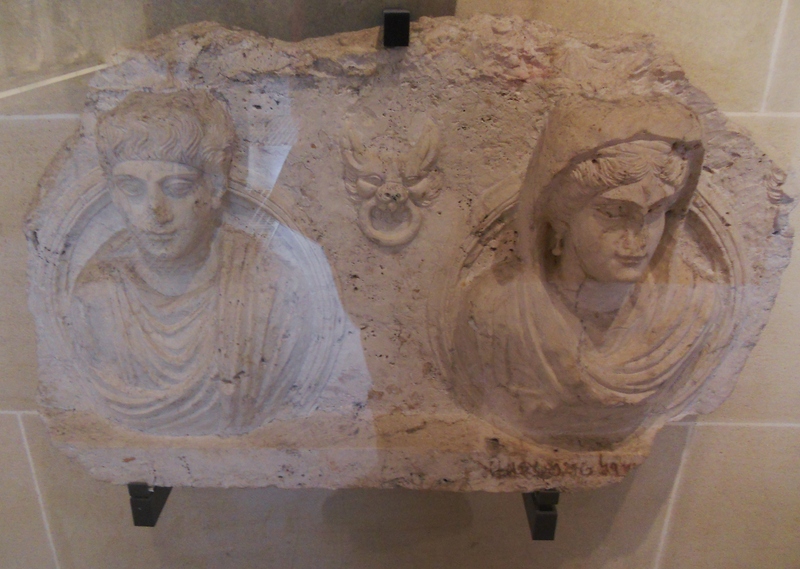 You guessed it, more funerary steles. 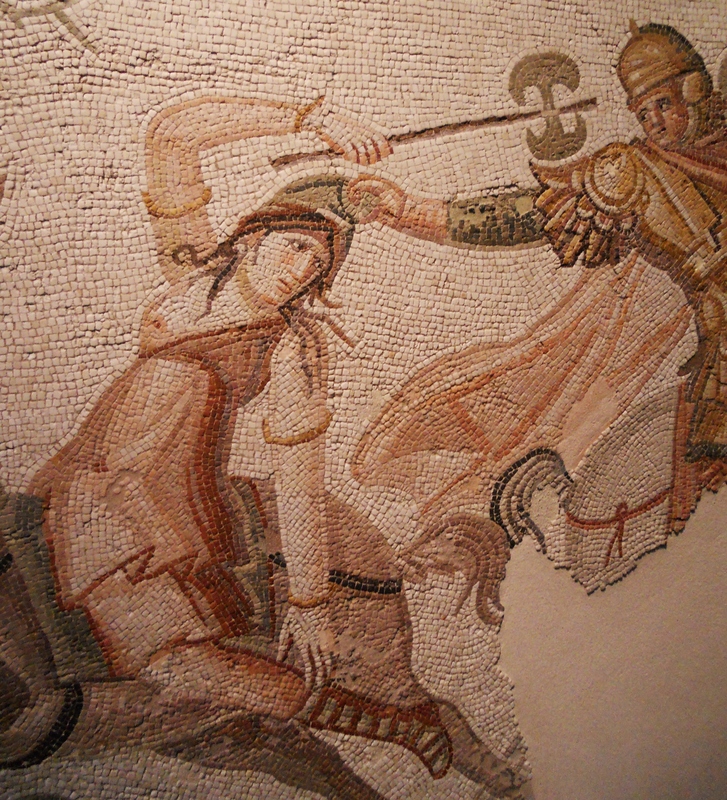 I was rather surprised to find one more example of this reoccurring theme in Roman culture. 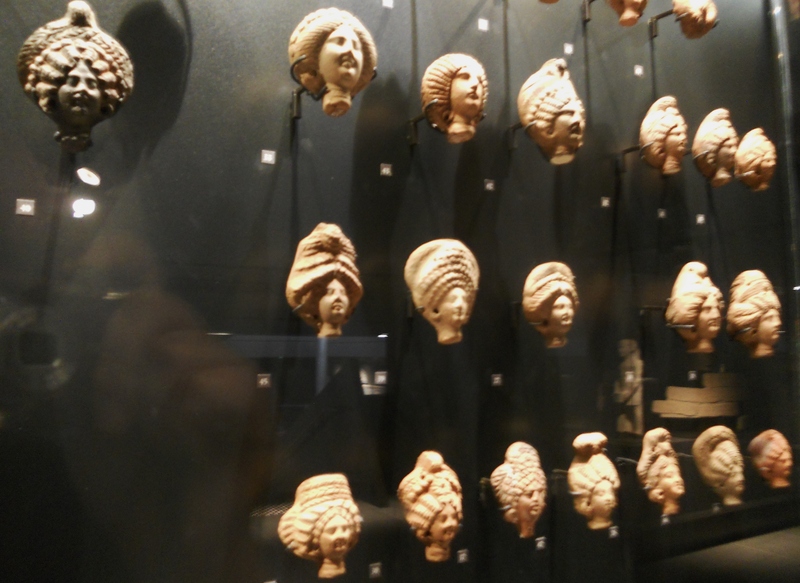 It was a surprise to see the similarities in each of these Mediterranean civilizations. 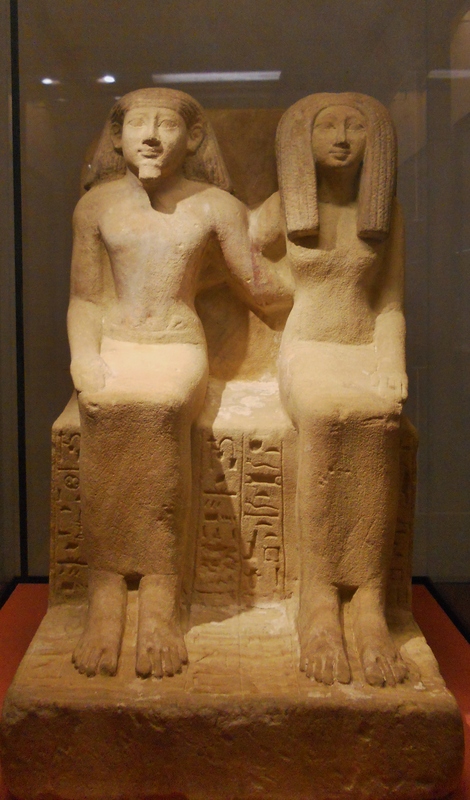 Once more, we have the couple, man and wife, side by side, seated as equals, together, facing the afterlife. I think it is an important reminder of the position of the woman in the family structure, not as inferior, but as a partner. And it would seem that each culture added their own touch to this idea. 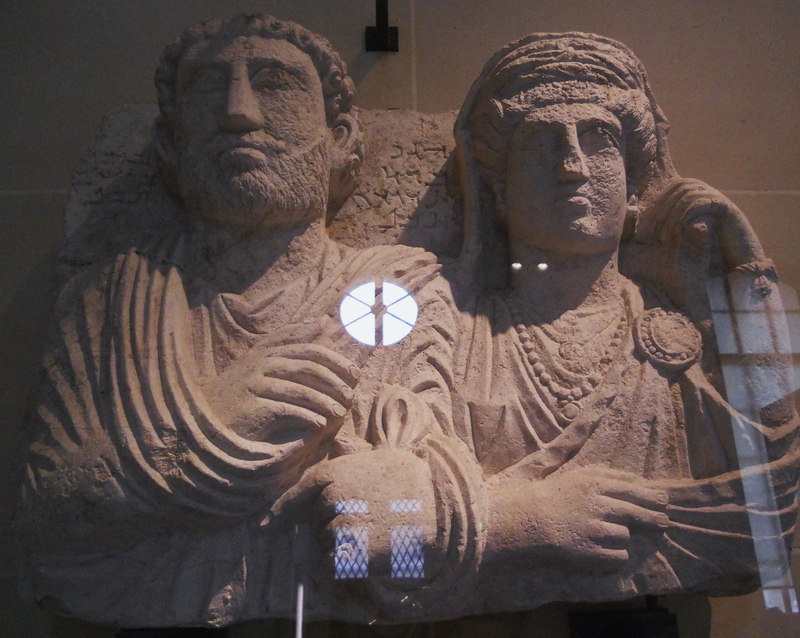 Stele of Zabdibol and Haggai, Syria 240 c.e. During my Paris vacation, I had a lot of fun simply absorbing the atmosphere and being surrounded by art and beautiful things to look at. I wasn’t quite sure how to approach this topic. Women have been a major theme and inspiration in every aspect of art and creation since the dawn of human kind. This topic is rather vast and I didn’t want to do something bland or impersonal. So I decided to go on a “Treasure Hunt” of sorts through the city and different museums to simply record the different women I would encounter, photographing the ones that struck me or spoke to me. And this is how I hope this project will be read, as simply an exploration, a walk through the figures that captured my attention. Enjoy! 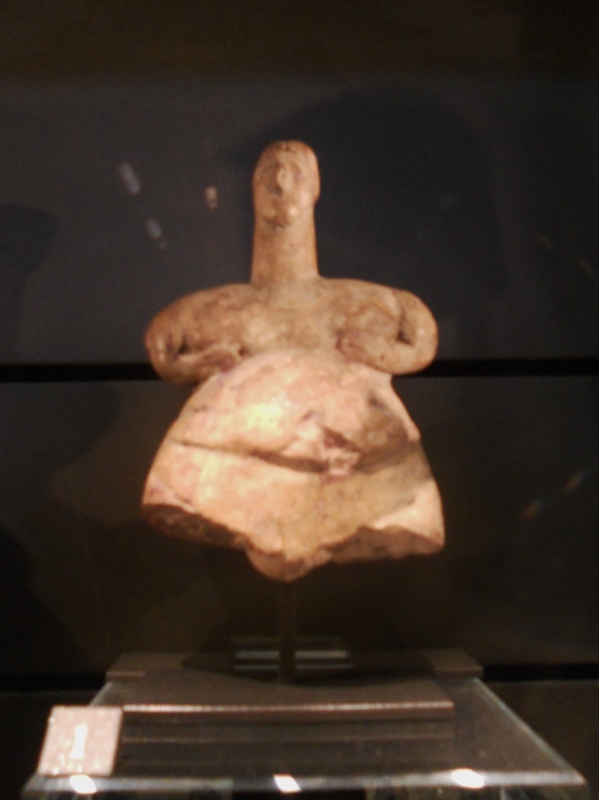 This ancient sculpture was apparently the stereotype of the female form, made around 6000 bce, this was one of the oldest I found. She has a generous, curvy figure sign of abundance and is comfortably seated with her legs crossed. 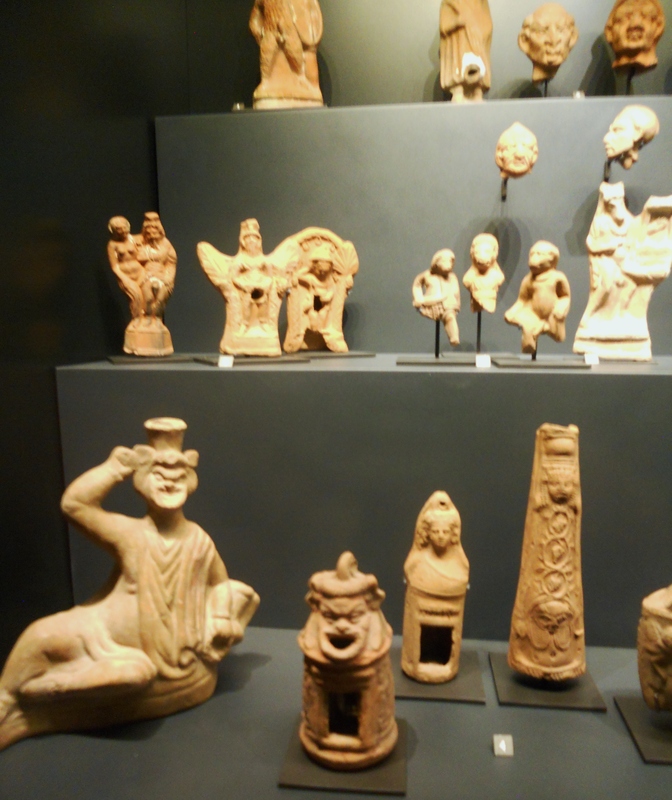 This figures date back to 2,700 bce from the Island of Keros. 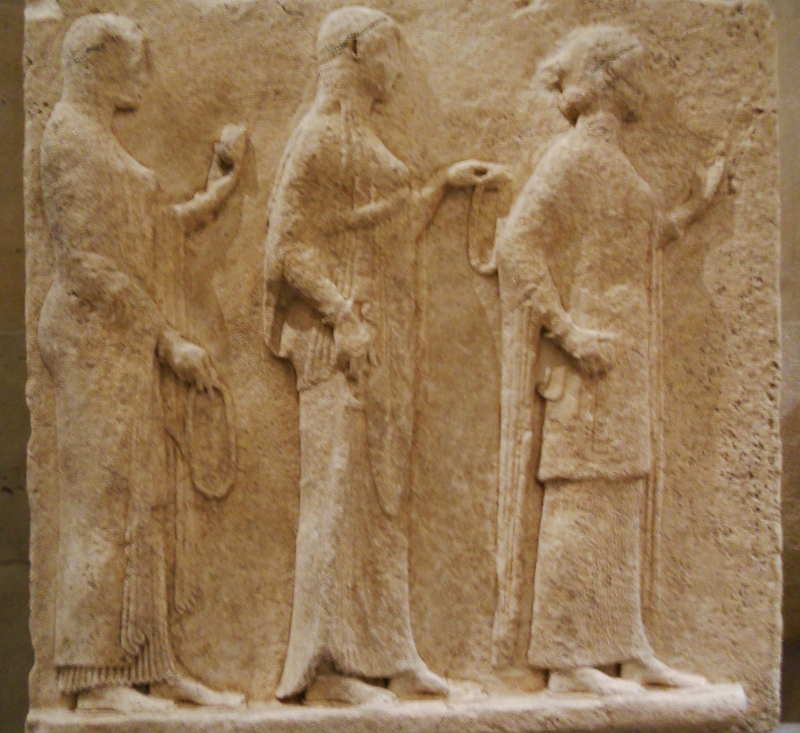 We saw similar things in our book, the stylized, recognizable but impersonal figures of these women. They all have the same poses. 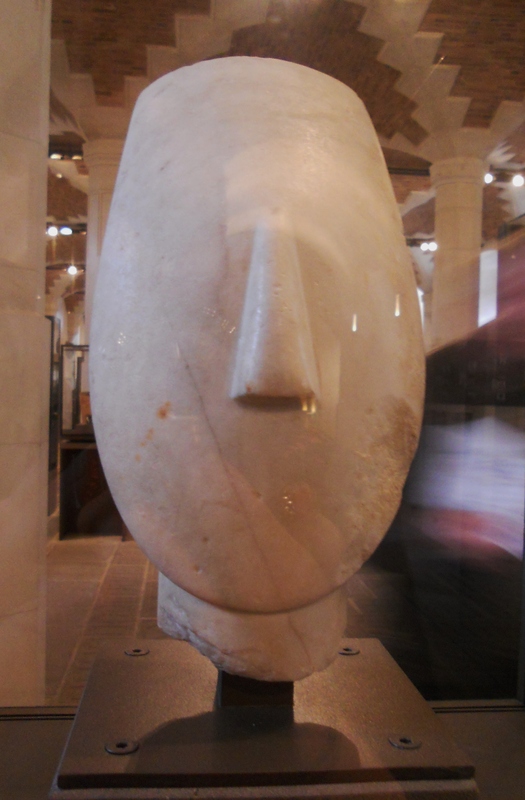 The museum also mentioned finding very slight paint residue on the Marble faces of these anonymous women. 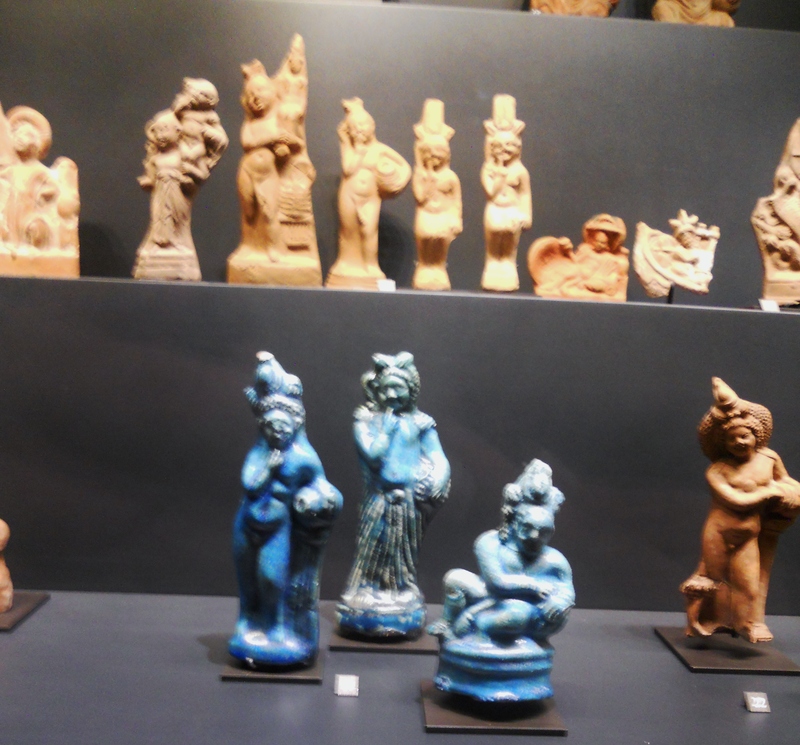 These figures were magical talismans, promoting protection or healing. They fascinated me since they represented Egyptian, Greek and Semitic deities but in outrageous, caricatural and crude forms. These little figures were meant to attract the anger of supernatural forces being mocked, in order to distract them from plighting the owners instead. This third century bronze embodies a culture much different from ours, where female goddesses were praised, worshiped and depended upon. Here we have a statue, blending the features of Isis and Aphrodite, showing a Mother figure with gentle curves, open arms and a soft smile. 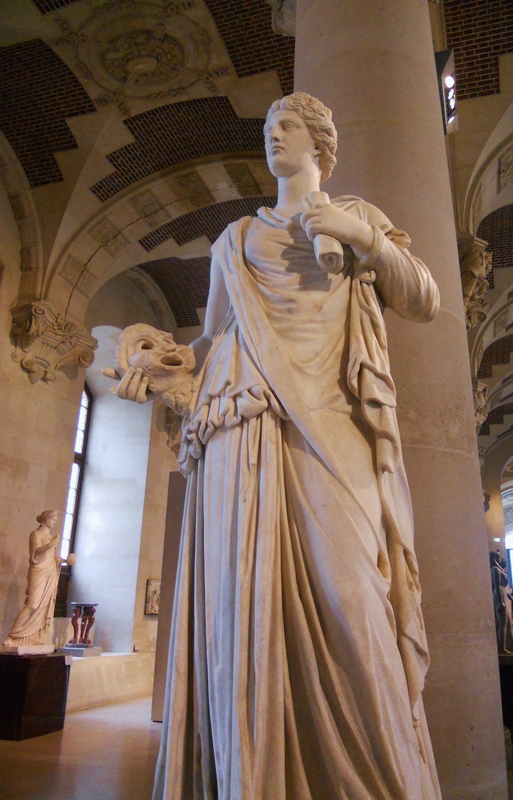 The Isis-Aphrodite cult was quite important in the ancient world and spread from Africa to England, all the way up the Middle East, showing a passion and love for the female aspect of the divine.